200 years ago today, Augusta Ada King, Countess of Lovelace (née Byron) was born in London England. Her parents were Lord George Gordon and his wife Anne Isabella Milbanke. Ada Lovelace is widely regarded as the first computer programmer for her work on Charles Babbage’s Analytical Engine in the 1800’s. 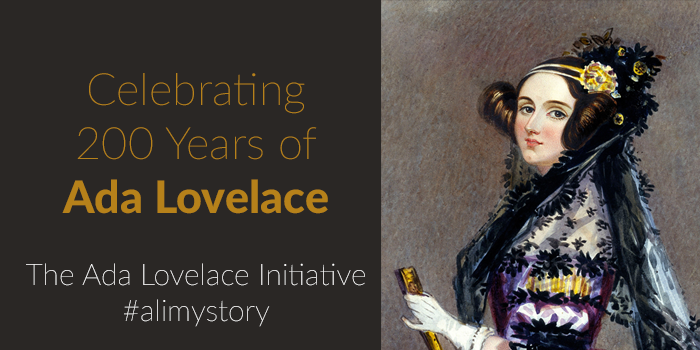 Today at Verify, on Ada’s bicentennial birthday, we want to look back at the achievements and discoveries of the world’s first computer programmer and how they came about & we would also like to share some special news with you from The Ada Lovelace Initiative. 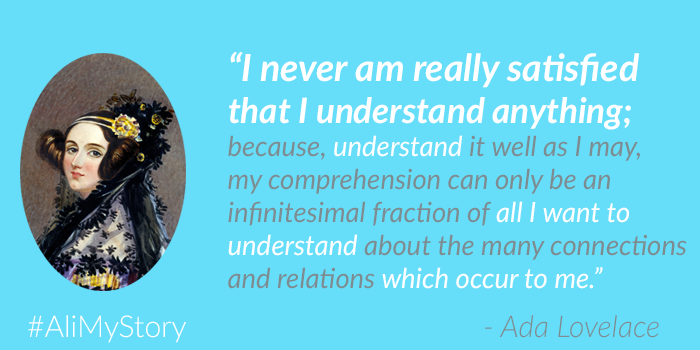 Ada Lovelace, often referred to as The Countess of Computing, called herself an ‘Analyst & Metaphysician’, describing her approach to her work as ‘poetical science’. Her mathematical talents led to her friendship with fellow British mathematician Charles Babbage (who is known as ‘the father of computers’). 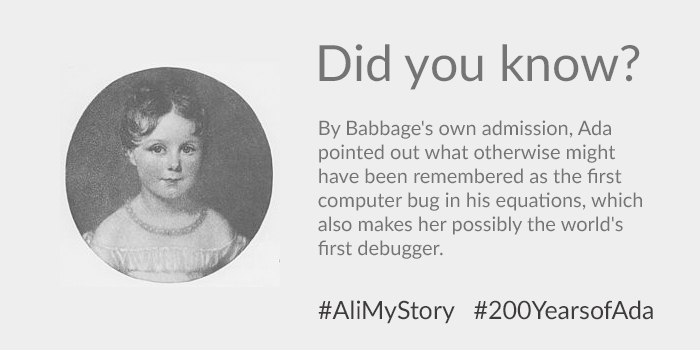 It was through this working relationship with Babbage that Ada became involved in the research which led to her reputation today as the ‘Countess of Computing’; Ada’s famous body of work ‘Notes’, were written in relation to The Analytical Engine designed by Charles Babbage. The Analytical Engine itself was a proposed mechanical general-purpose computer. The events that led to the creation of Ada’s famous ‘Notes’ took place between 1842 and 1843 when Ada translated an article by Italian military engineer Luigi Menabrea on the Engine. Through her friendship with Babbage, she had been interested in The Analytical Engine for the 8 years leading up to Menabrea’s article. So what exactly led to Ada being known as the first ‘computer programmer’ before the electronic computer was even invented? It was in the detail of her ‘Notes’ that followed her Italian-English translation of Menabrea’s article that the magic happened for Ada (and Babbage!). She went beyond simply translating the article from Italian to English – she worked for months to add detailed notes on the Engine. These notes contained what many consider to be an example of the first computer program— a set of intructions designed to be carried out by a machine. Lovelace’s notes are very important in the early history of computers. Alongside her suggested use for algorithms, she also developed a vision of the capability of computers to go beyond mere calculating or number-crunching, while others, including Babbage himself, focused only on those capabilities. Her curiosity & perseverance during this project led to a huge conceptual leap forward for computing. 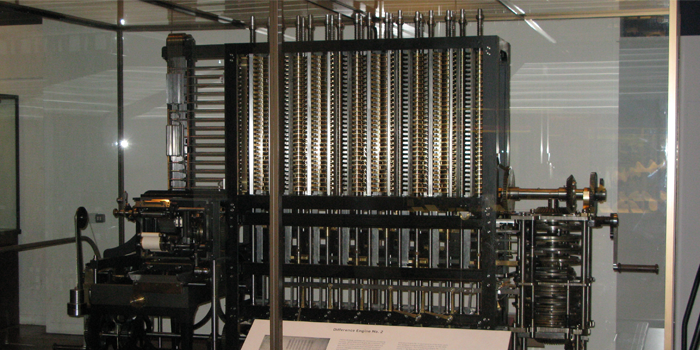 At the time the people working on ‘computers’ (including Babbage) focused on how the machine would calculate the task at hand – but Ada questioned how computers could go beyond carrying out simple tasks and how it may be used for other useful tasks in society such as music composition. The Analytical Engine itself never came to fruition due to budgetary constraints and unfortunately, Ada suffered many serious illnesses throughout her life which eventually led to her passing away on 27 November 1852 at the age of 36. 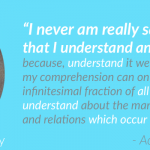 While the plans for her ‘Notes’ on the Analytical Engine were never carried out, Ada’s work was ground-breaking for computing and she was undeniably a visionary of computer science; ‘poetic science’ as The Countess of Computing called it herself. She remains an inspiration for many people today, especially those studying & working in Science, Technology, Engineering and Mathematics. For Ada’s Bicentennial Birthday, we encourage you to tweet, post and update your own networks about this special anniversary today and use the hashtags #alimystory or #200YearsofAda to follow Ada news today! We have arranged something very special at Verify Recruitment to celebrate Ada’s bicentennial birthday today. 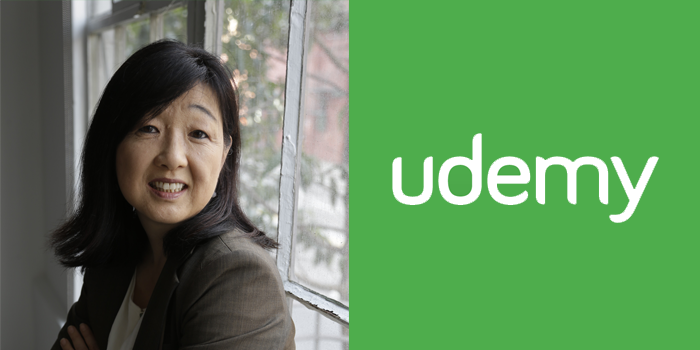 We are delighted to announce that Claire Hough, the Vice President of Engineering at Udemy.com will be taking part in The Ada Lovelace Initiative as a role model in Dublin this afternoon. 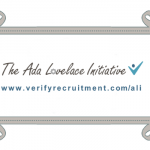 Named in honour of Ada Lovelace, this year at Verify Recruitment we launched an initiative to promote technology careers to young women across Ireland. 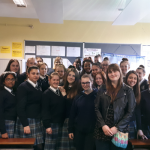 We are working with the technology community in Ireland to connect female professionals working in technology with Transition Year secondary school students for one hour once a year each to tell their story. 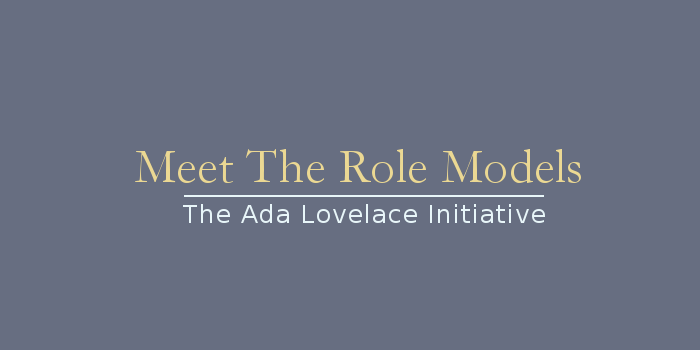 It has been a fantastic journey so far with The Ada Lovelace Initiative thanks to the technology community in Ireland. There are over 3000 pupils registered for a visit from an A.L.I. role model across the country. Thanks to the overwhelming response from technology professionals across Ireland, we now have role models from over 75 Irish technology companies signed up to help encourage pupils nationwide to consider technology careers. At Verify, we are delighted to be able to present this opportunity to the Transition Year pupils of Mount Carmel Secondary School. We feel that this visit is a fantastic opportunity for the female pupils of Mount Carmel to meet Claire, a role model and leader who has led technical teams in global technology companies such as Udemy, Netscape and Napster. We would like to wish Claire the best of luck with her visit today! 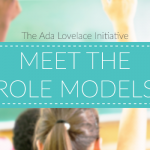 Stay tuned to our Meet The Role Models interview series to hear more about this visit! A.L.I. 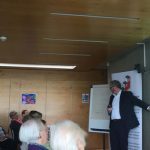 in Munster, Age Action & the U3A! 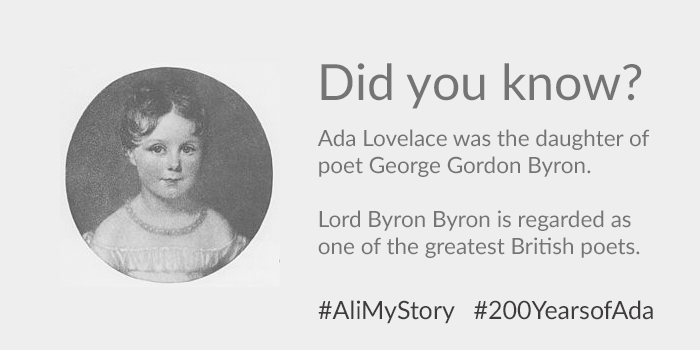 This entry was tagged 200 Years of Ada, Ada Lovelace Initiative, Ada's Bicentennial Birthday, Charles Babbage, Computer Science, education, STEM. Bookmark the permalink.